Talk about a bad hair day! Famous stylist Benito Pelaez went to a conference and left his nephew Pepito in charge of his prestigious Hairdressing Salon for Bald Men. 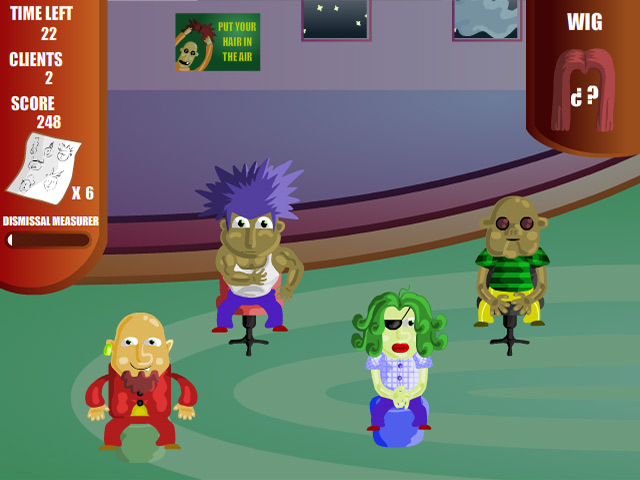 Help Pepito match the correct wig to the correct client in this ultra-chic online memory game. Use your mouse and your memory to place the wigs. 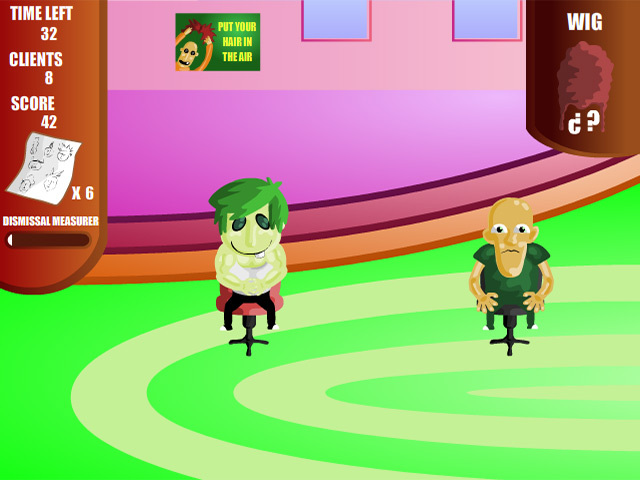 Make sure Pepito works quickly and accurately, or the Hairdressing Salon for Bald Men will lose its clientele.